When you have a busy schedule to tend to the last thing you want to deal with is a rodent infestation or any issues with your air ducts. However, allowing either of these problems to continue for long will only lead to worse trouble later on and make them more of a hassle to deal with. That’s why our company is happy to take care of these problems quickly and easily for you so you can get back to your life in no time. Our company’s biggest focus is on the satisfaction of our customers, which is why our team works hard to provide the best service to you for a fair price. With years of work in the field under our belts and use of the best equipment available, you can know with certainty that our experts will have any issue dealt with using the finest methods. That way the results will last you for a long time. No quick fixes here! Just solid, sturdy solutions. Our professionals want to be sure that you’re satisfied with a job well done, no matter how big or small the project may be! There’s no need to worry about wasting your precious time waiting for our services to even get started, as our experts will always be there on time and get straight to work! Our company can assure fast service thanks to our deep knowledge and dedication to our customers! Unwanted rodent visitors are not only upsetting to have in the home, but they can cause a lot of damage to your house as well as spread diseases from their waste. Their chewing can affect wood and furniture, and if they chew on cables, they can even cause a fire. Rather than risk any of this, why not ensure they can’t get in to begin with thanks to our proofing services? Our experts will find any and all potential entrances and get them securely closed off with steel wool that they can’t chew through so you won’t have to worry. Whether your home’s insulation was wrecked by pests, water, or is simply too old to function well anymore, our professionals would be glad to lend you a hand! Our experts can install new insulation for you of various types according to your needs, from loose-fill fiberglass, to cotton. If you need what’s there replaced with something fresh, our team can carefully do this to avoid contaminating the air with dangerous particles. Removal can easily be taken care of as well with specialized safety equipment so you won’t need to risk your health trying to do it by yourself! Even if your attic seems separate from the rest of your home, dust and debris from uninvited rodent visitors can still affect elsewhere and lower the air quality, as well as pose a potential source of illness for your family. Rodent waste can carry disease, and this as well as dust and even mold can be circulated from the attic for ventilation. Fortunately, our professionals can help! 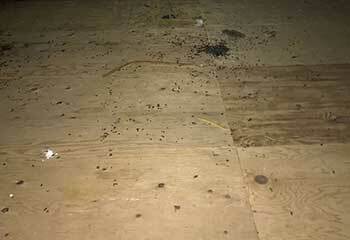 Our team uses the finest tools to completely and thoroughly clean your attic to get rid of these issues. Decontamination can be done to ensure the eradication of diseases, and mold removal is available. The quality of the air inside your home is hugely important to the health of those inside it, and unfortunately can be negatively affected by a lot of factors. That’s where our team comes in! Our company offers a variety of services to help with this problem, from cleaning out air ducts and vents, to performing an air quality test to better understand what’s in your household’s air. Air duct tests are particularly helpful to pinpoint what needs to be worked on, be it too much pet dander, or even a high amount of pesticides. Duct sanitizing is available too. While your HVAC unit does a lot for your home by keeping it heated and air conditioned according to your needs, it may also be inadvertently lowering the air quality as well if it isn’t regularly cleaned. Dirt, pollution, and other substances are also pulled in with the air from outside and get trapped in the unit, thus tainting the air as it passes through to disperse in your home. 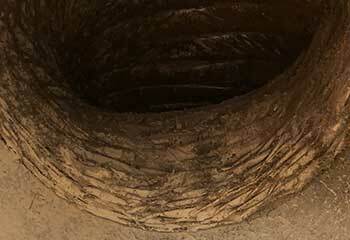 These blockages also put strain on the unit itself so it may break faster than it should. Our team would be glad to help clear it out in no time! Check out our most recent projects here below! Our team took care of cleaning this customer’s ducts in no time. Learn more here. This customer needed rodents removed from her home quickly and easily. Discover more here! 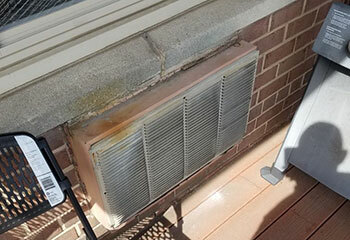 Our team took care of cleaning this customer’s HVAC unit right away. Find out more about it here. I’m so relieved I contacted you guys when I needed my dryer vent cleaned! My dryer is working so much faster and better now, and no more fire hazard worries. Thanks so much! You guys are absolutely the experts. The bad smell that was coming out of the vents at our office floor is now completely gone! Great service for a great price. I still can’t believe how quickly you guys got my air ducts cleaned out! It was really fairly priced too. I’m so glad to be able to have fresher air now, thanks again!